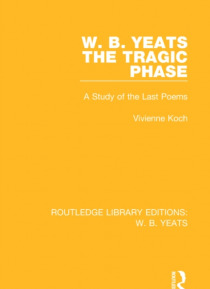 In this study, first published in 1951, the author examines the poetry of Yeats's last years, that poetry which reached and held to the 'intensity' which he had striven for all his life. Vivienne Koch explores the ways in which the great but troubled poems derive their energy from suffering, and examines thirteen of his last poems in detail, each with a slightly different focus. This title will be… of interest to students of literature.